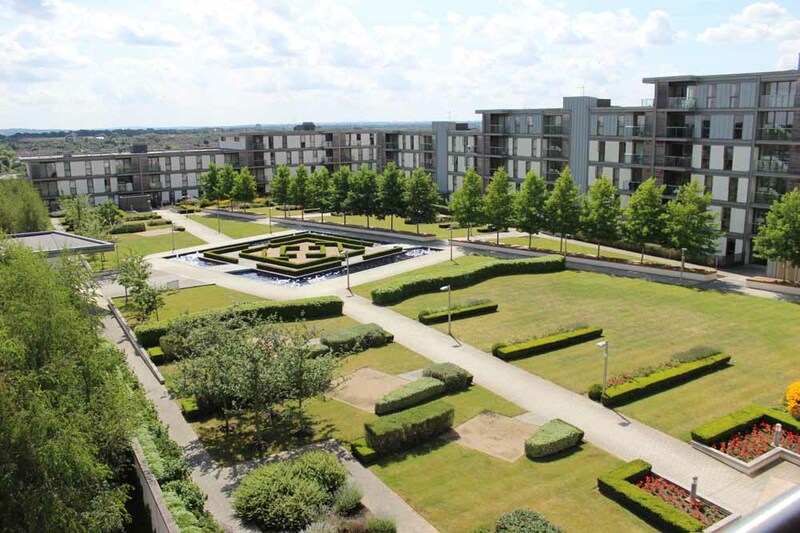 Vizion Apartments are located in a brand new development in the town of Milton..
Vizion Apartments are located in a brand new development in the town of Milton Keynes in the county of Buckinghamshire. 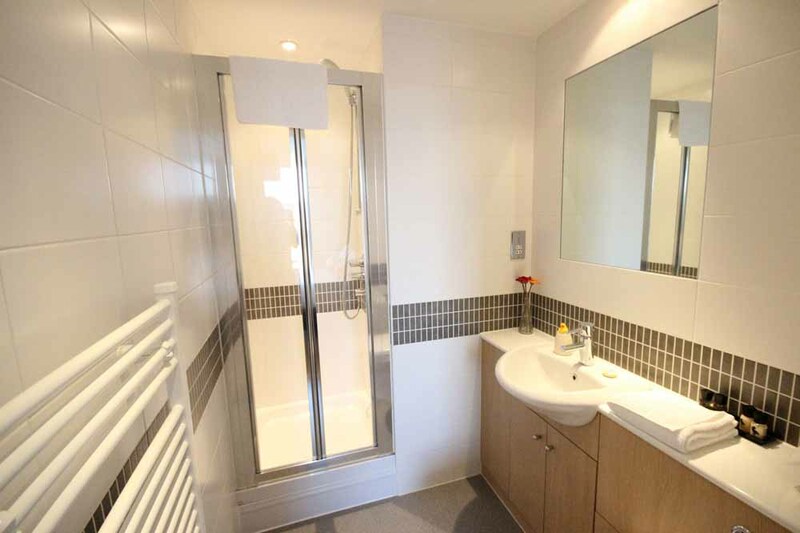 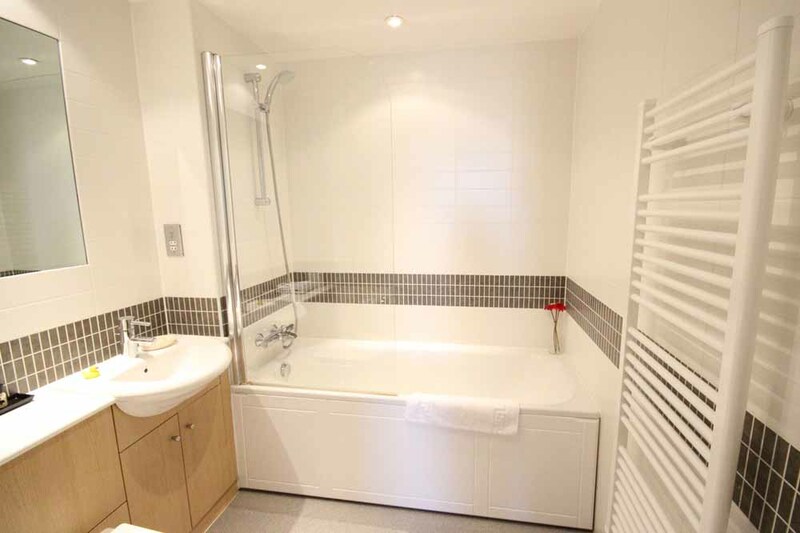 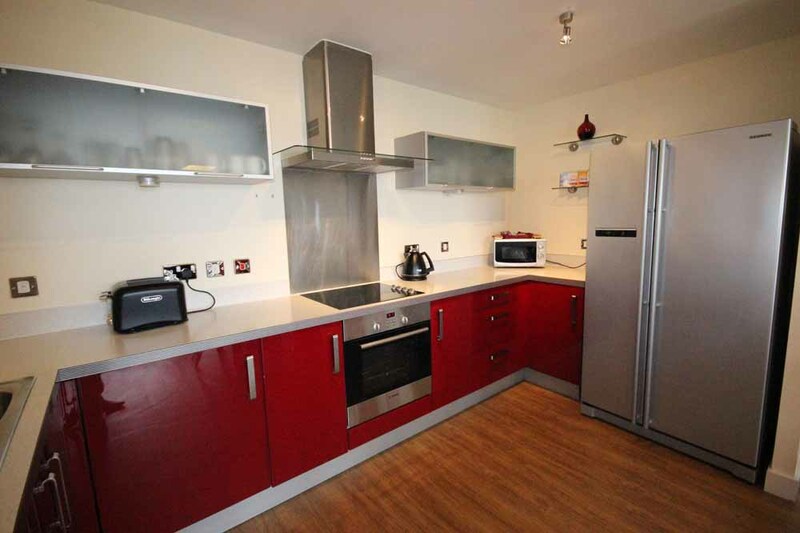 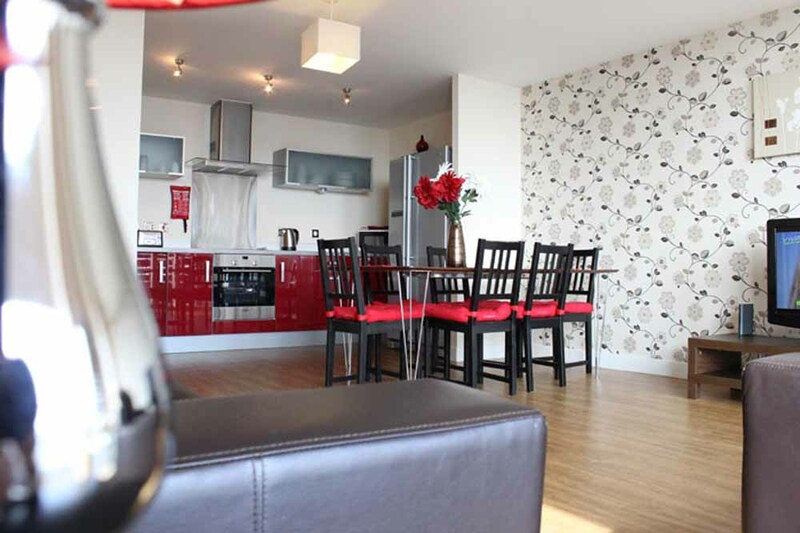 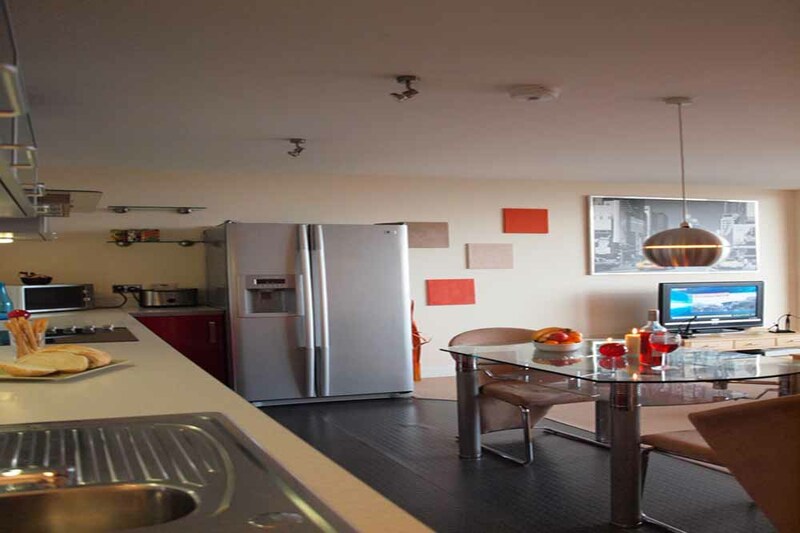 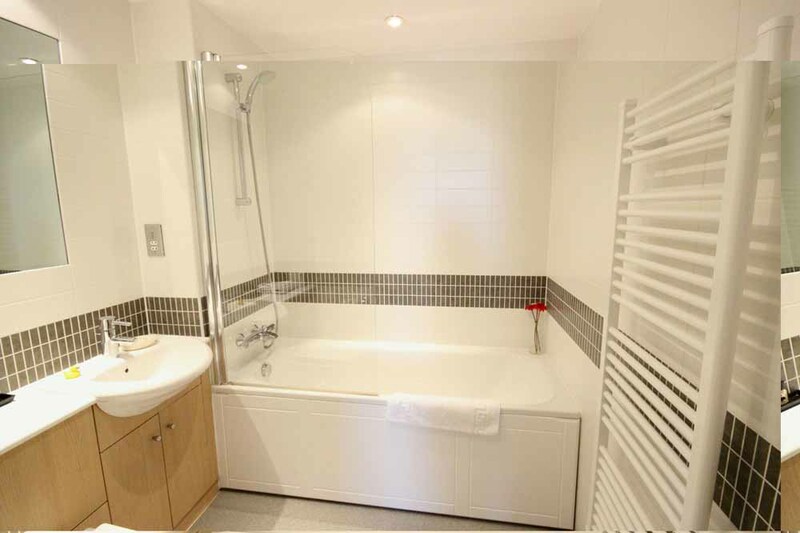 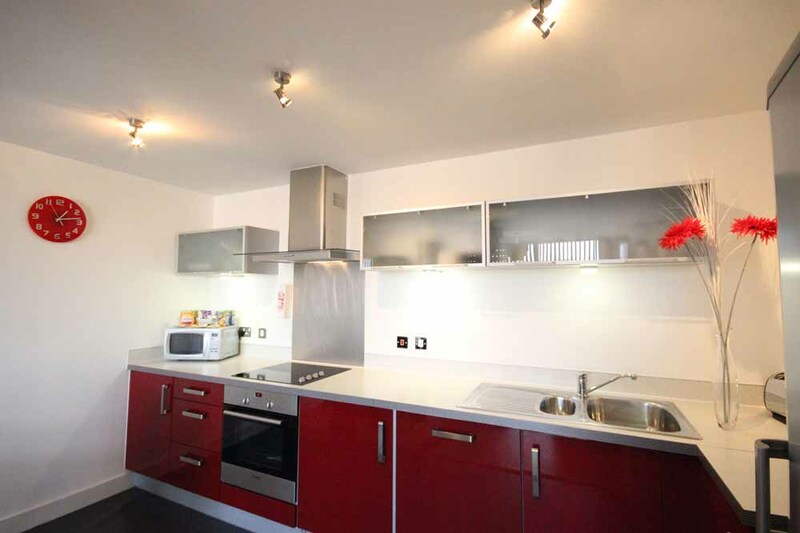 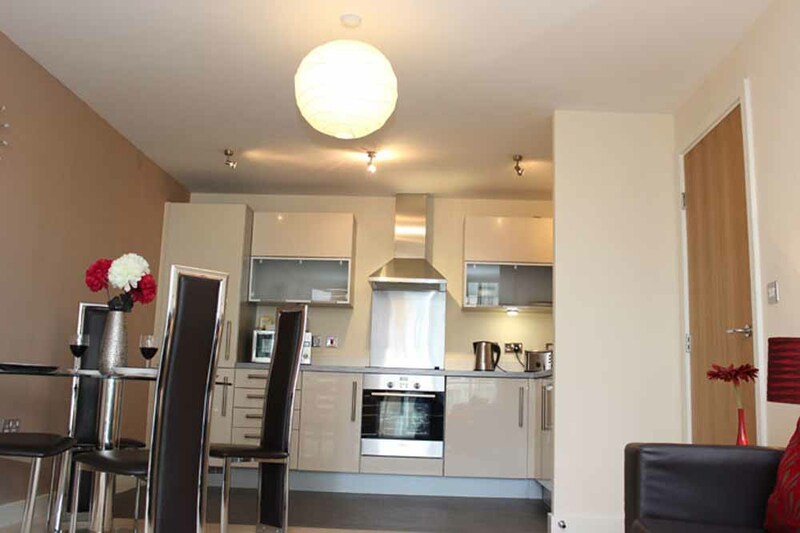 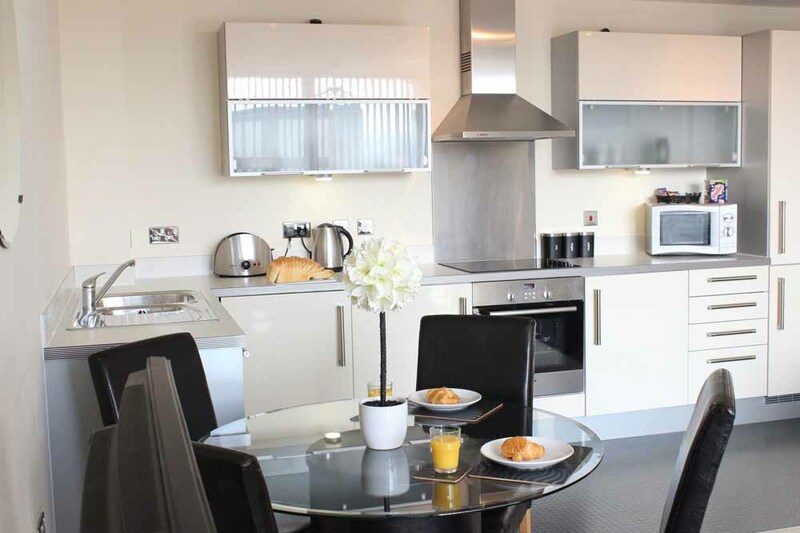 Close by to local amenities such as a vast array of independant shops, a large shopping centre, restaurants, cafes and the main train station, these apartments offer a great base. 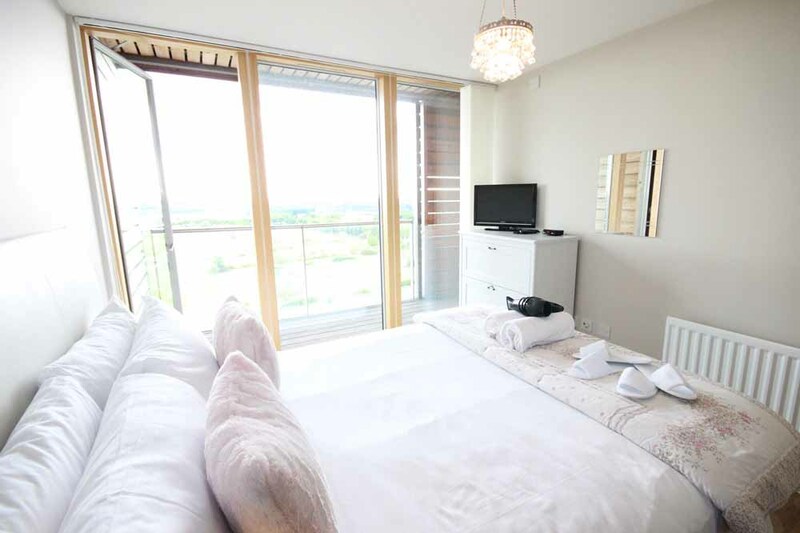 Milton Keynes is a perfect option for a family holiday or short break with the Xscape Entertainment Dome located in the centre of the town which offers everything from a cinema to indoor skiing and rock climbing. 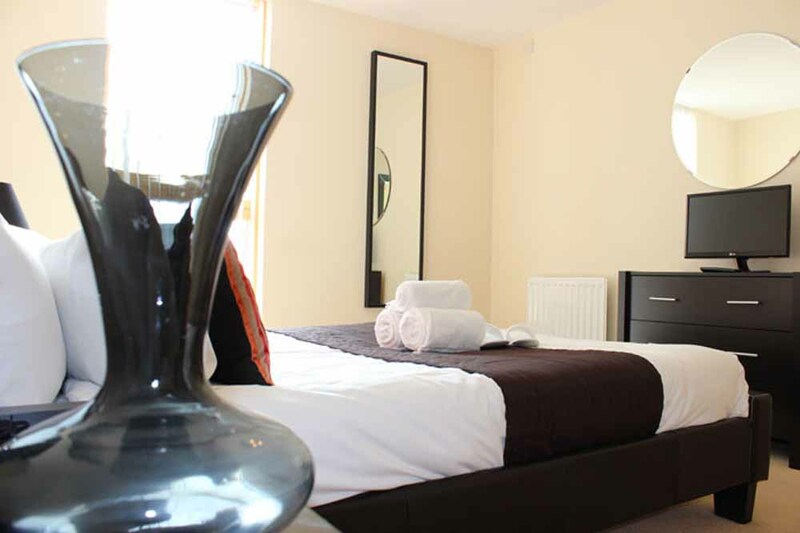 Just outside of the town, some of the area's top attractions are within easy reach by car or train such as the historic Bletchley Park, Stratford Upon Avon and Silverstone Racing Circuit. 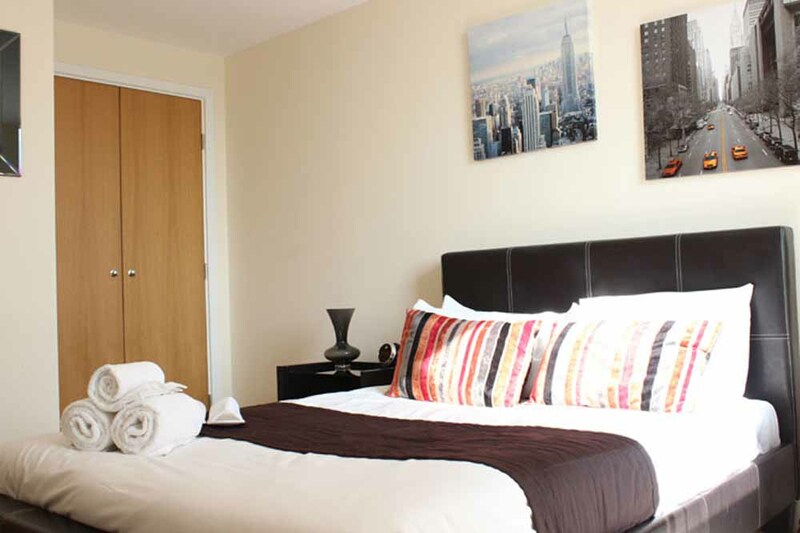 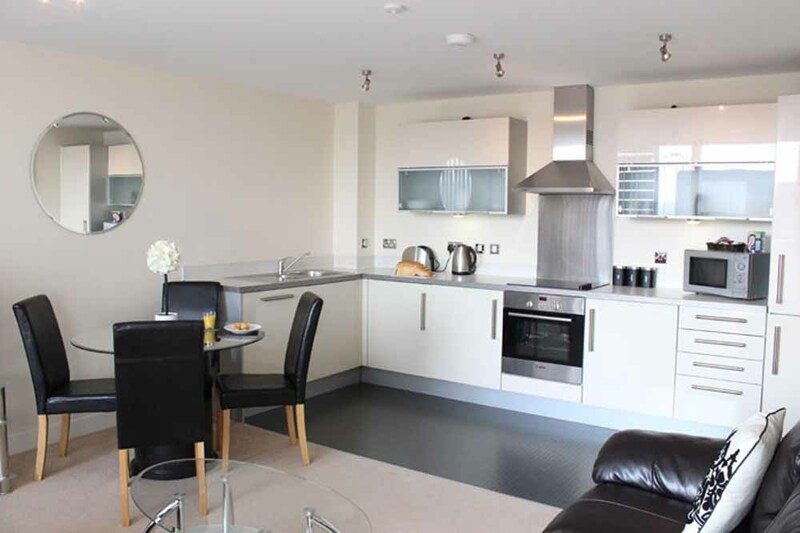 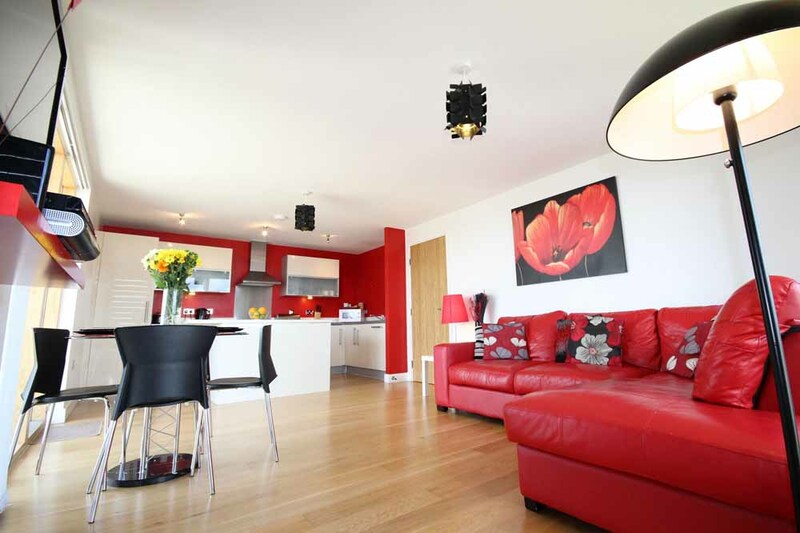 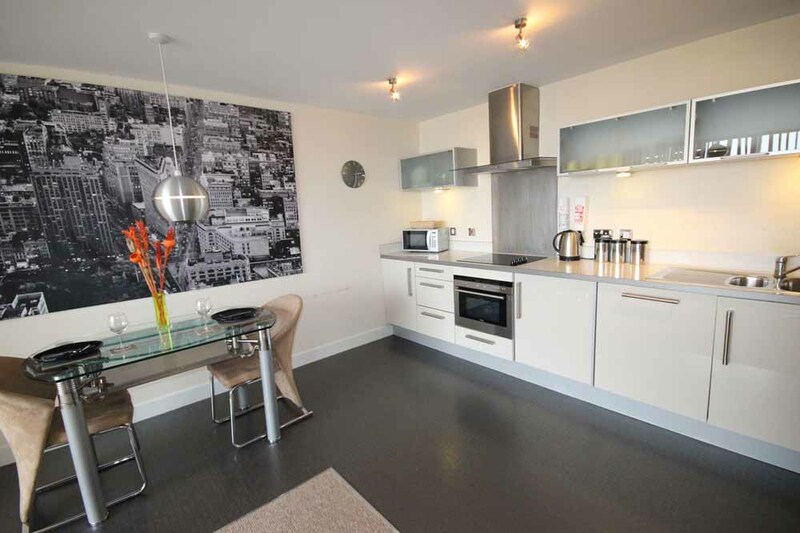 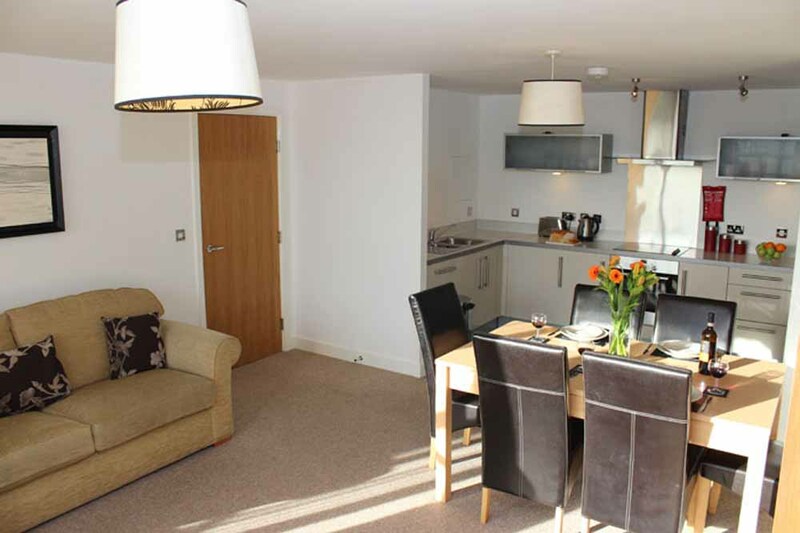 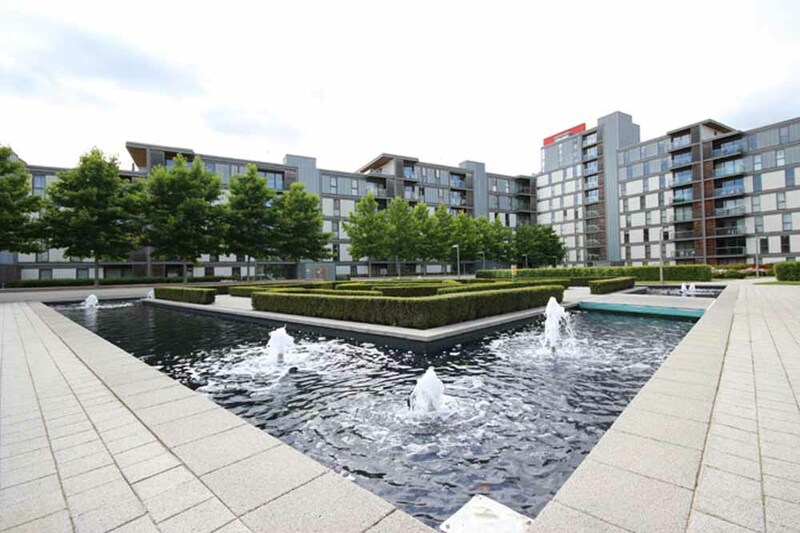 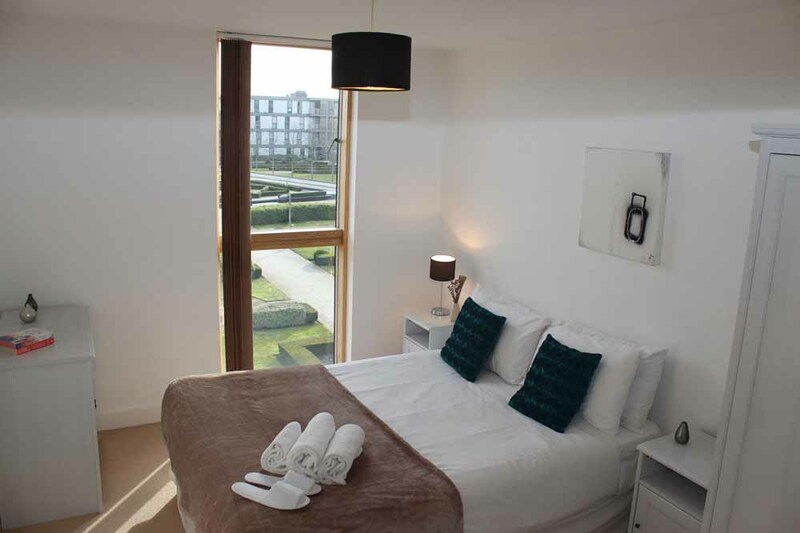 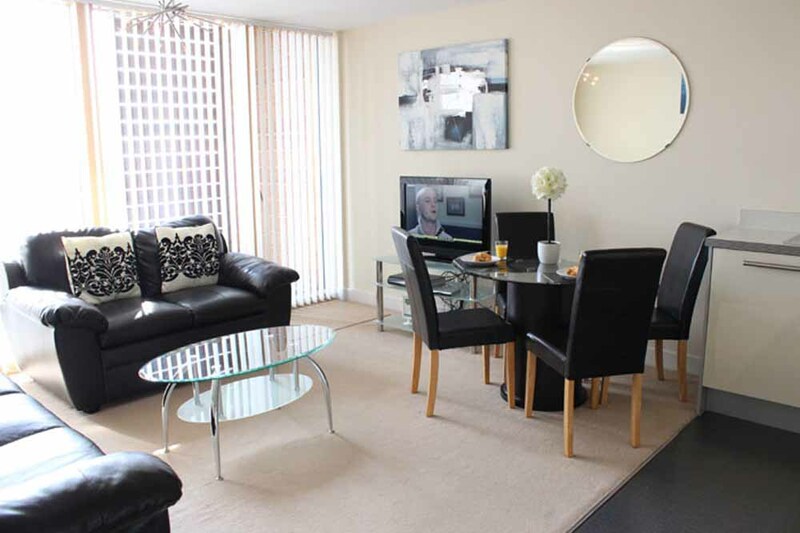 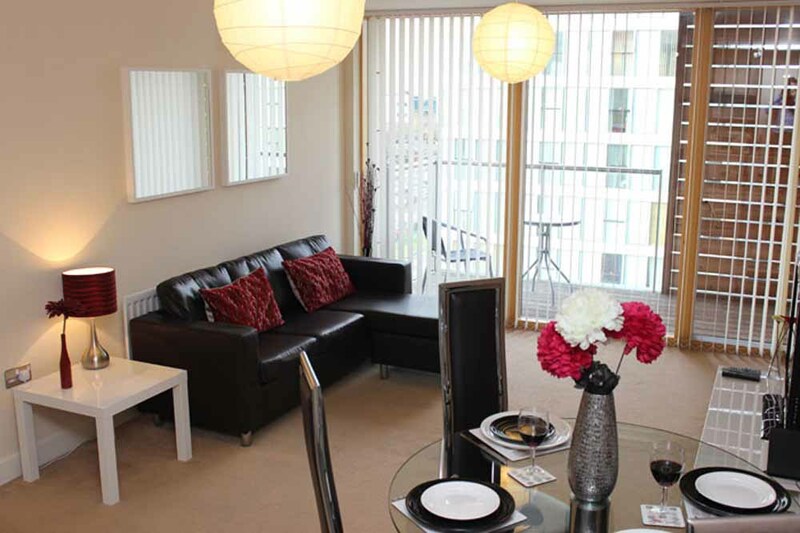 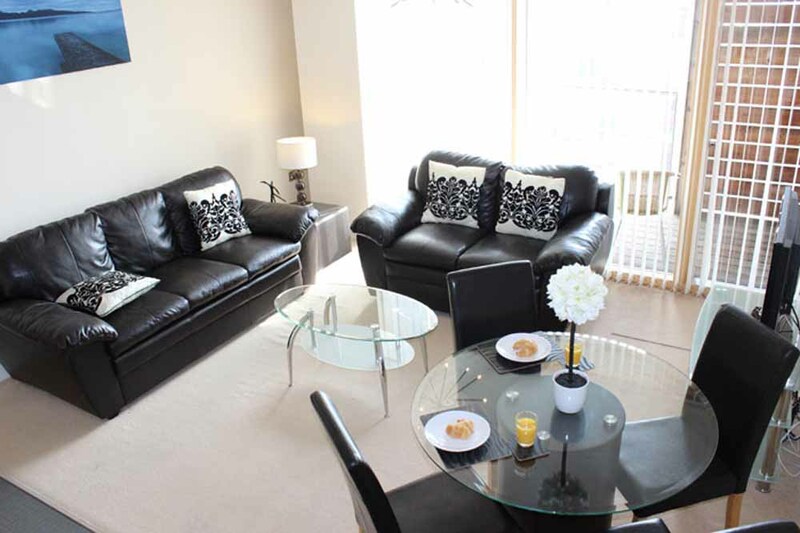 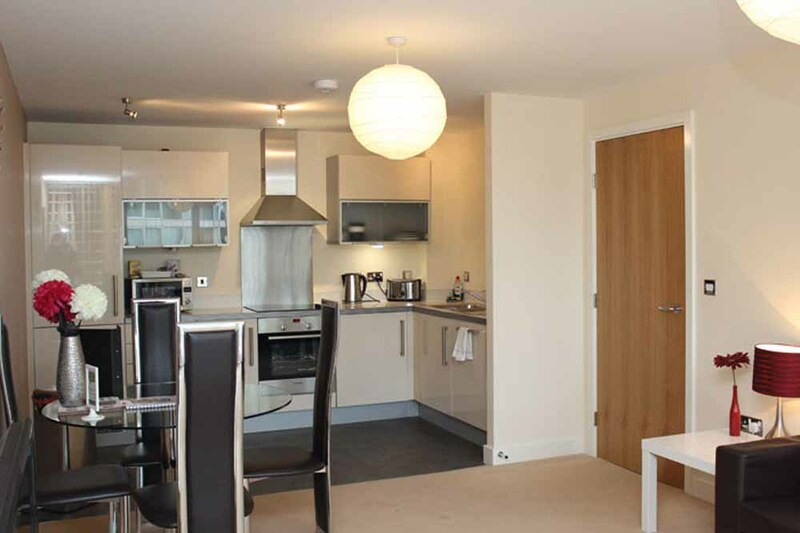 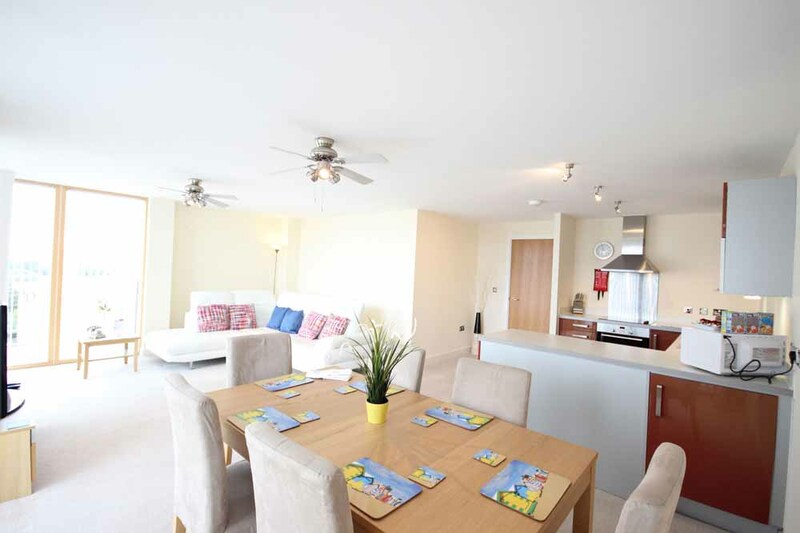 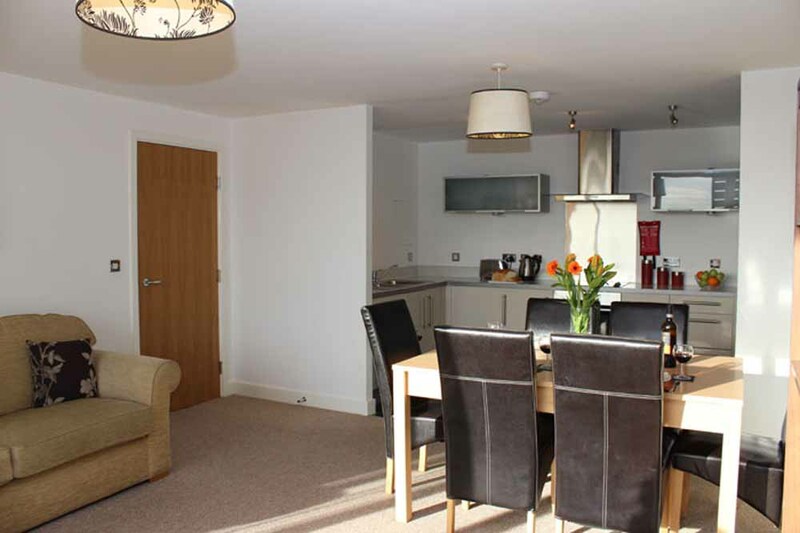 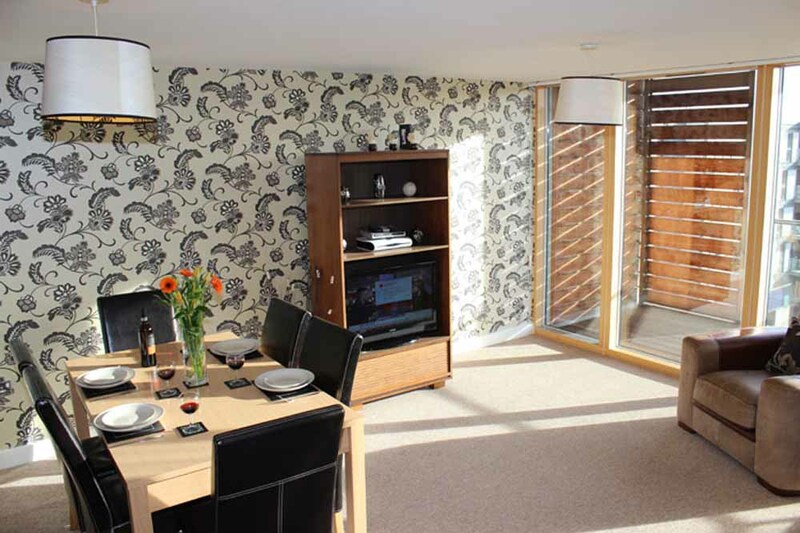 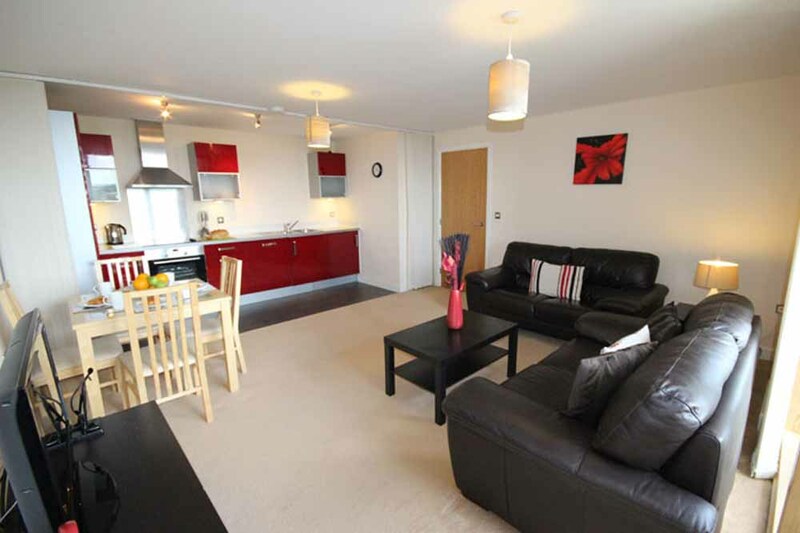 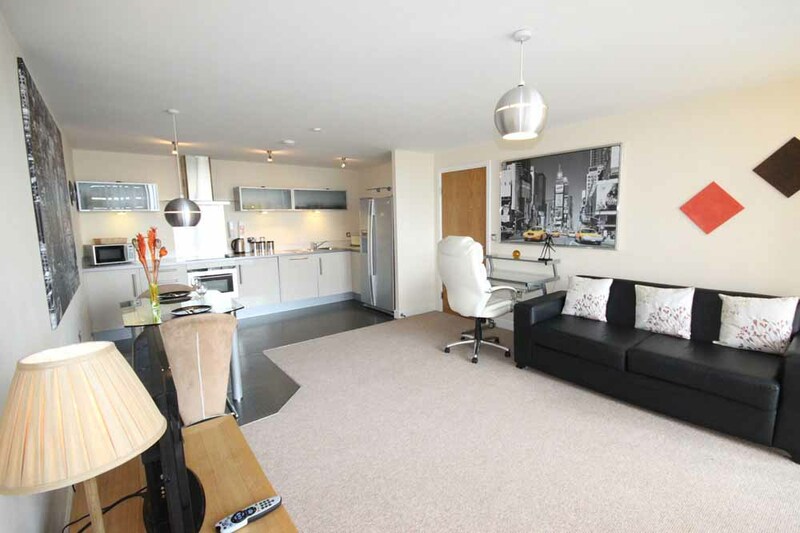 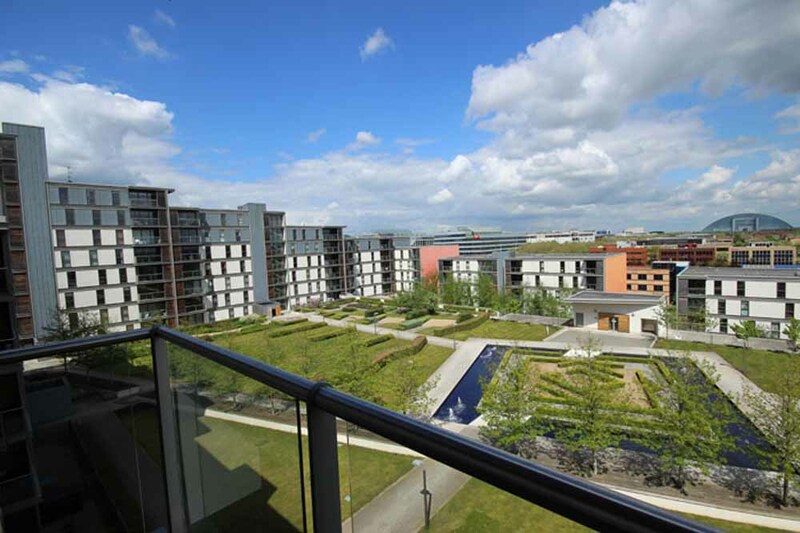 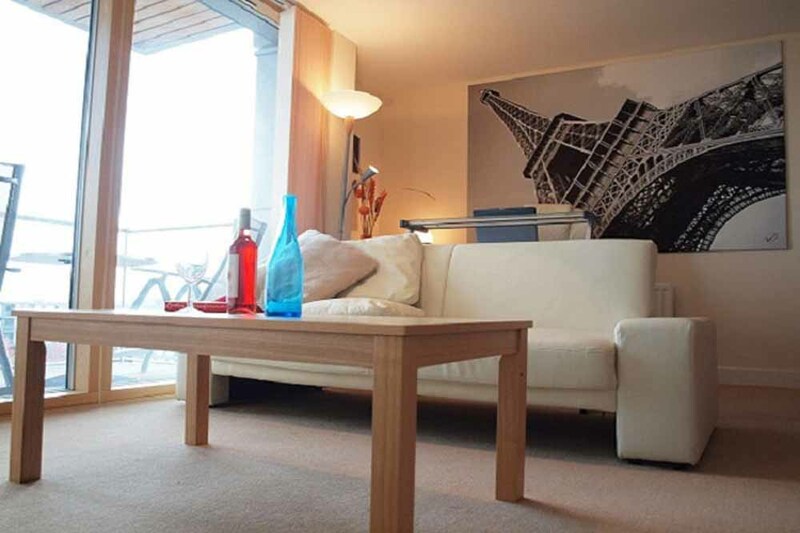 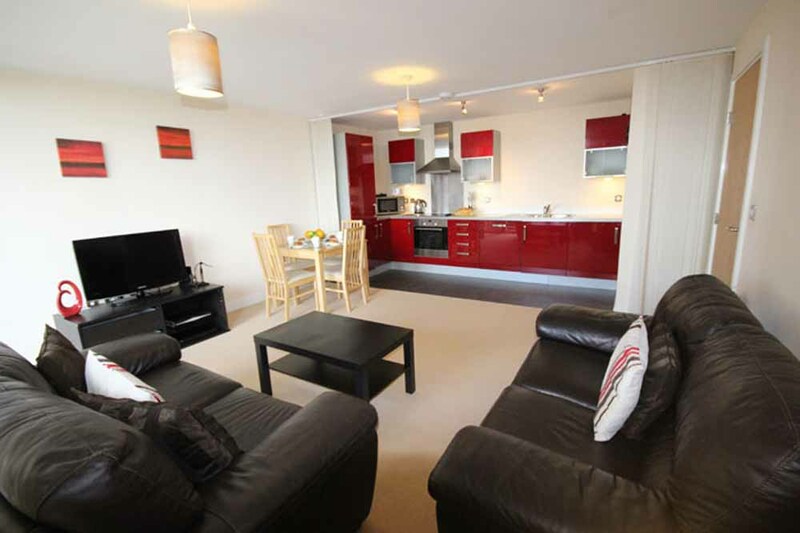 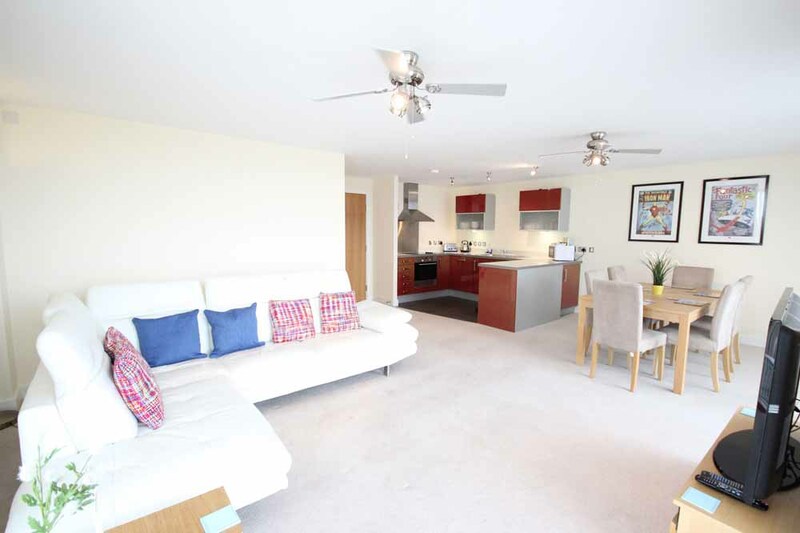 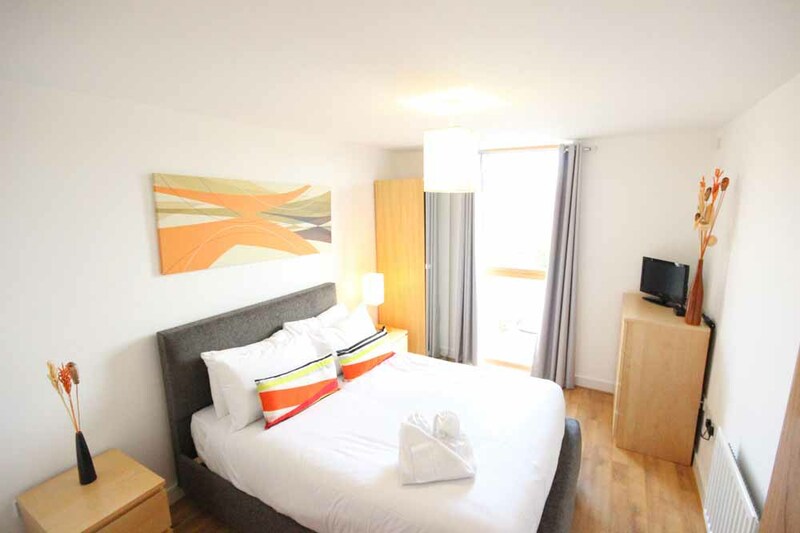 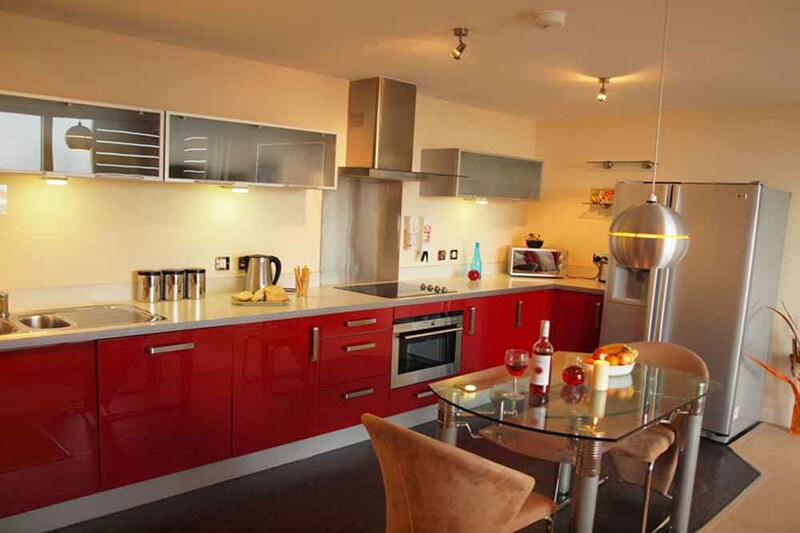 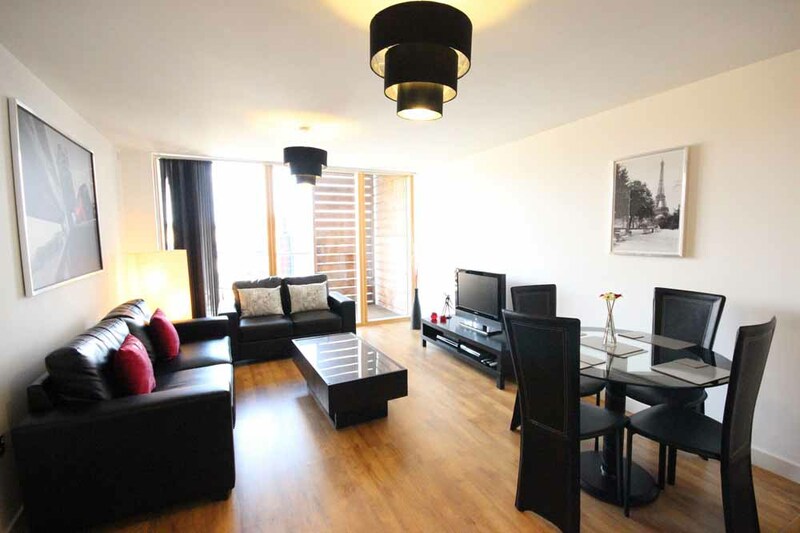 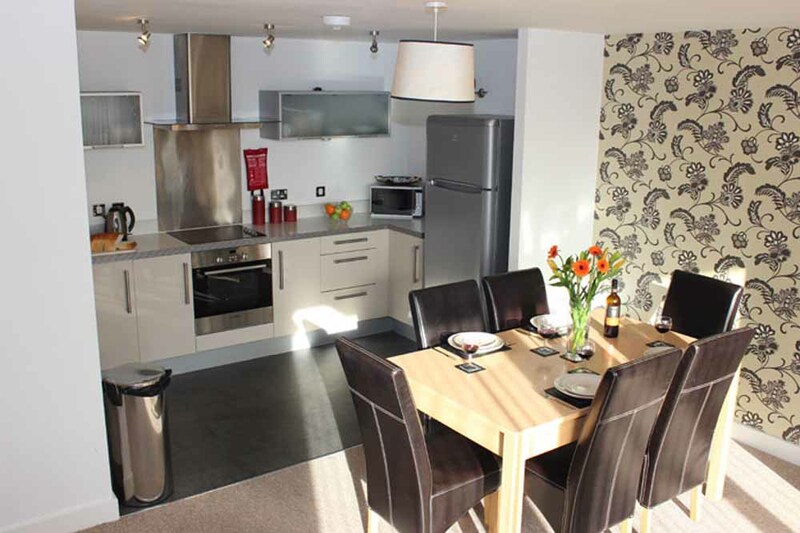 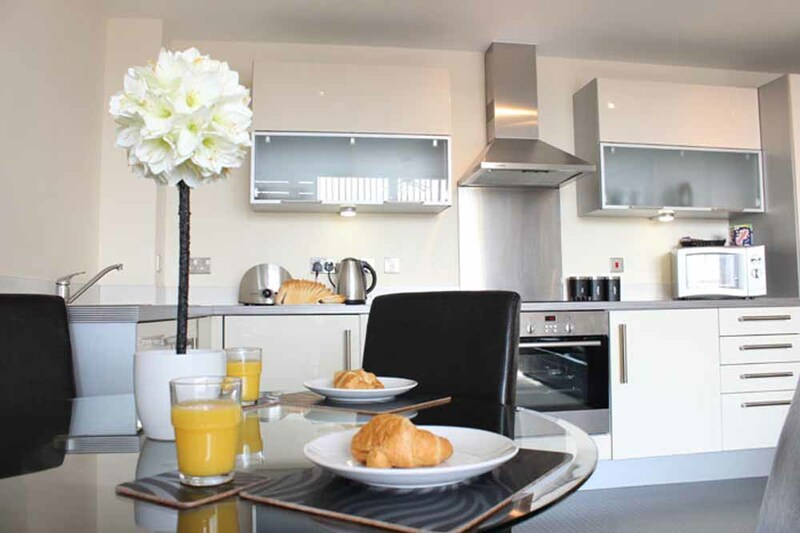 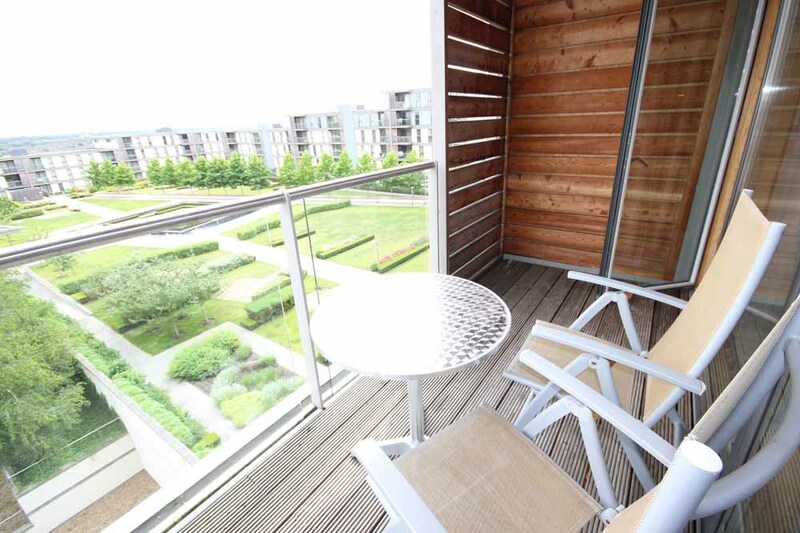 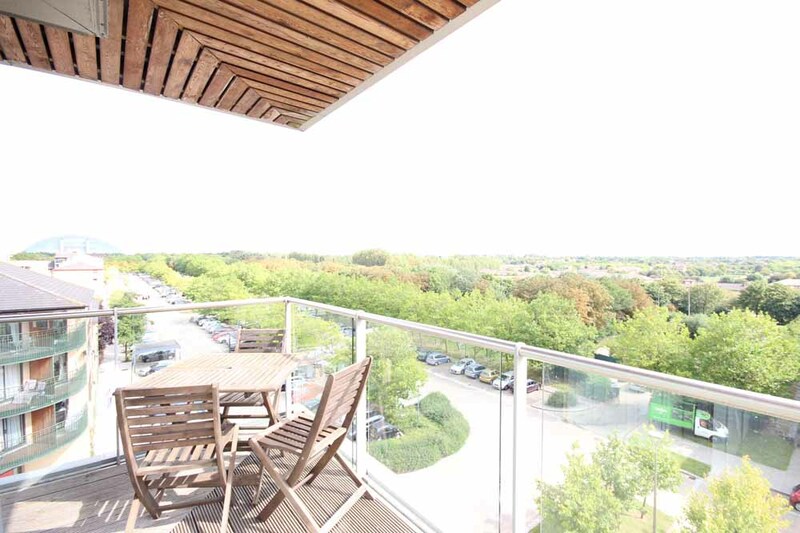 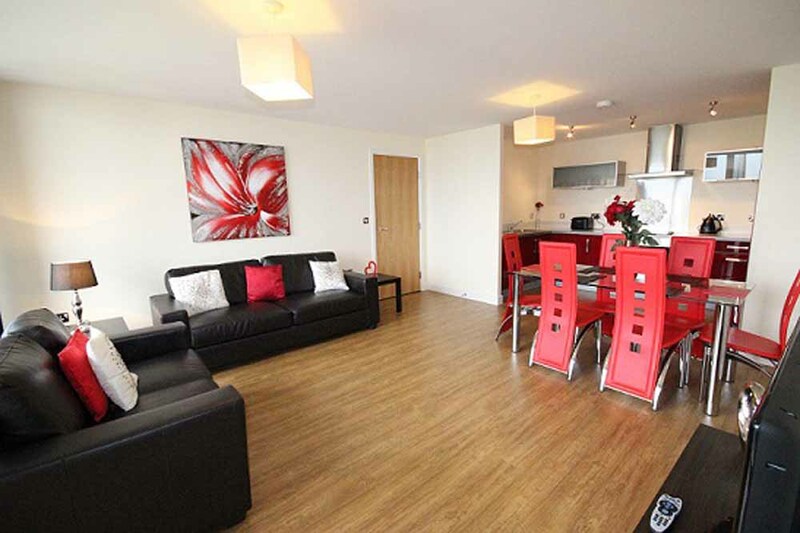 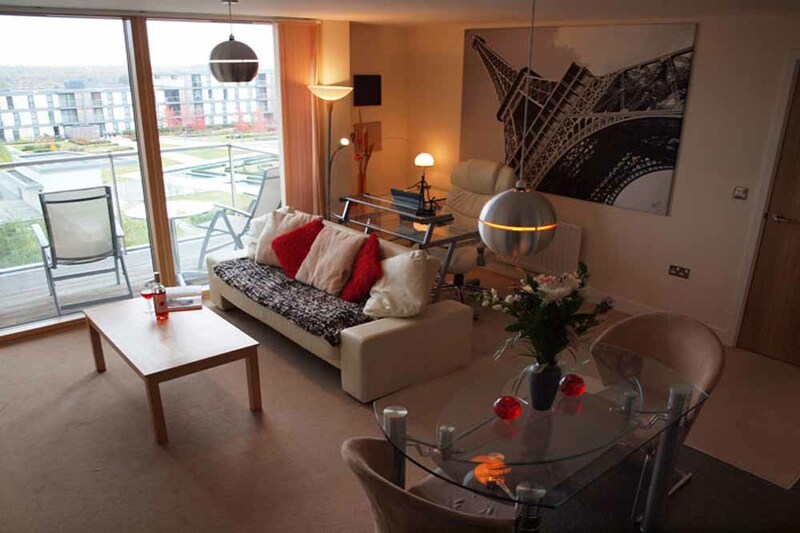 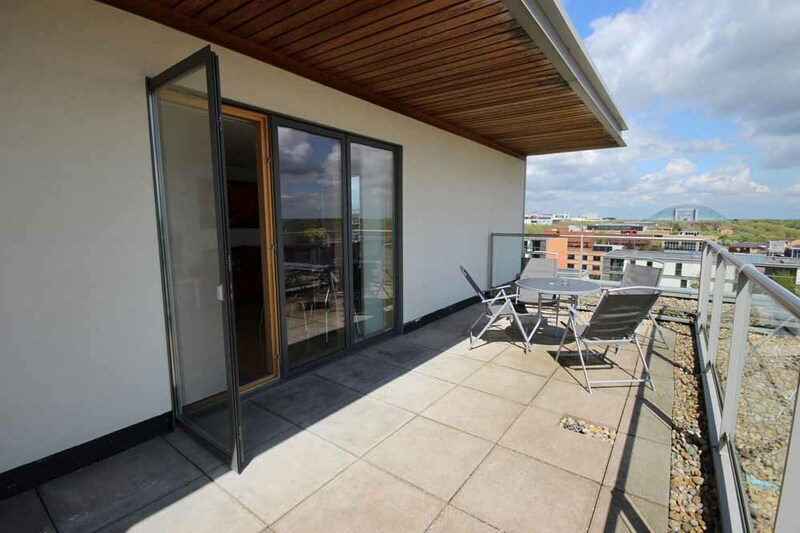 Vizion Apartments are a stylish collection of one, two, three bedroom and penthouse apartments which are ideal for any short stay in Milton Keynes. 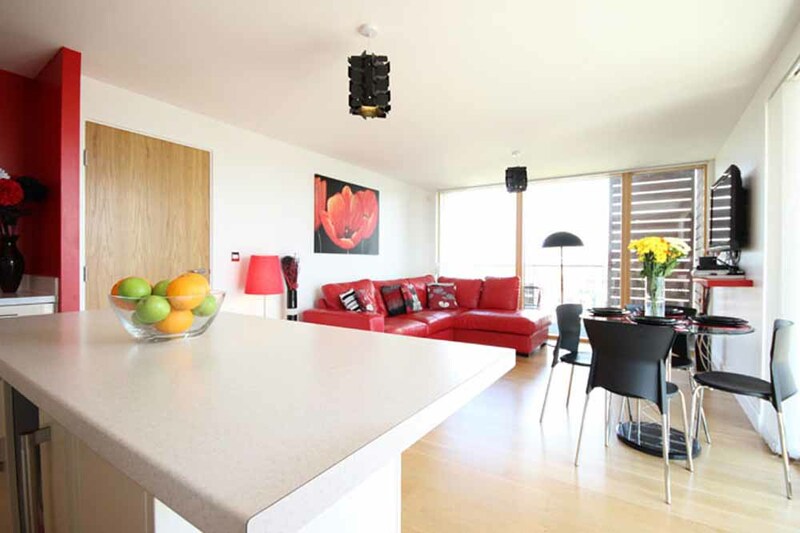 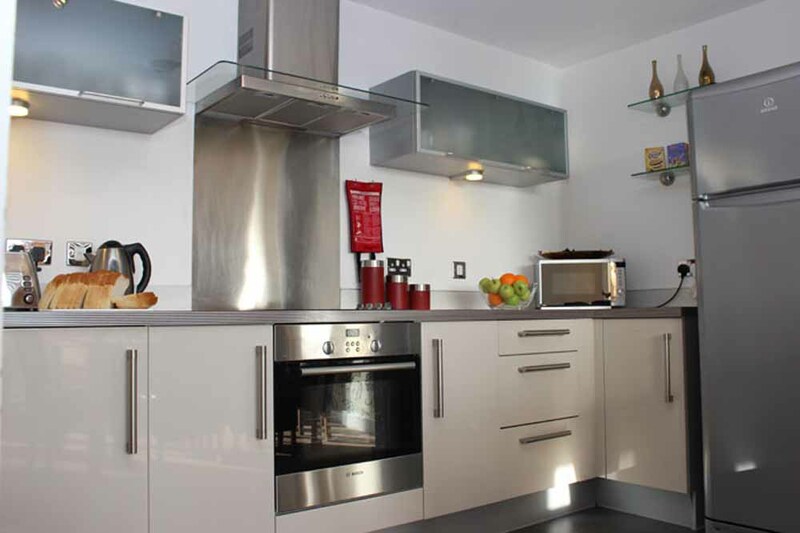 Sleek, fully fitted kitchens contain all modern appliances which allow guests to prepare their own meals in their apartment and the spacious living and dining areas offer ample space to relax and unwind. 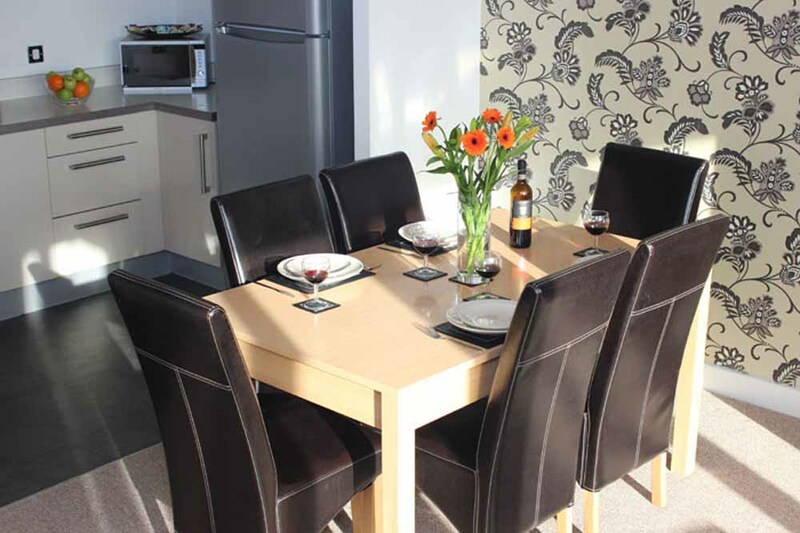 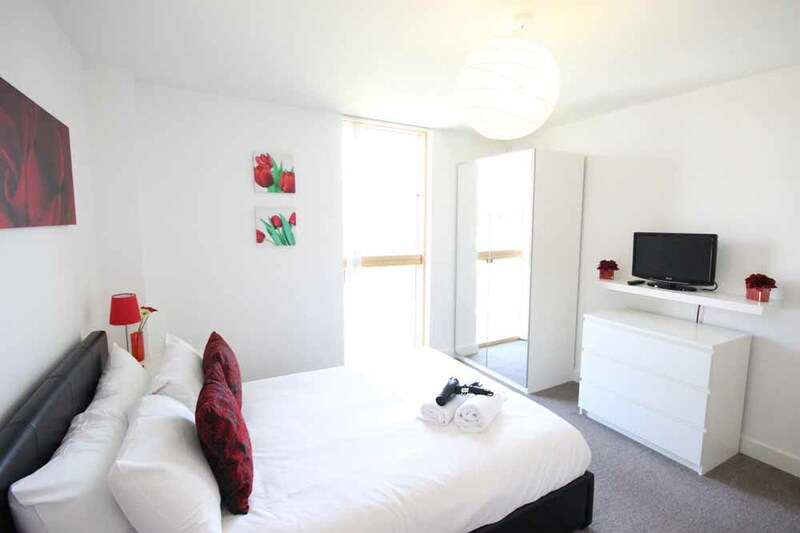 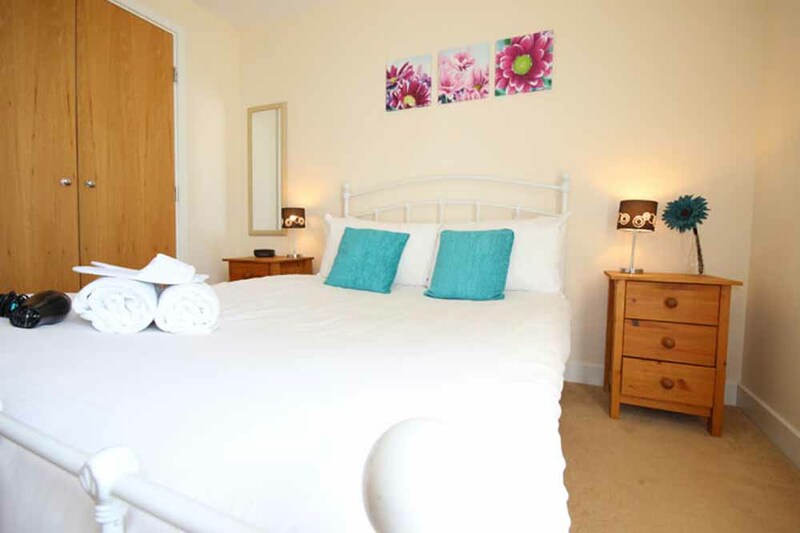 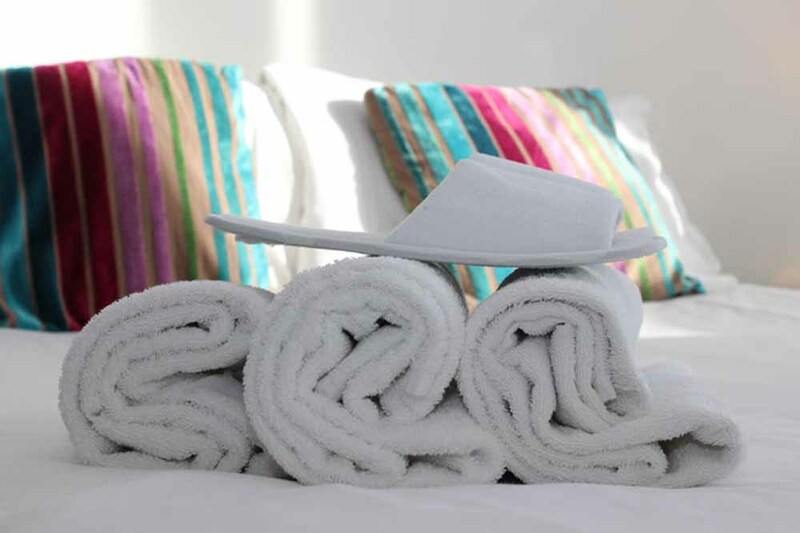 Boasting communal gardens, free wireless internet and weekly housekeeping as well as a central location, these apartments are an ideal destination for any type of traveller to the area. 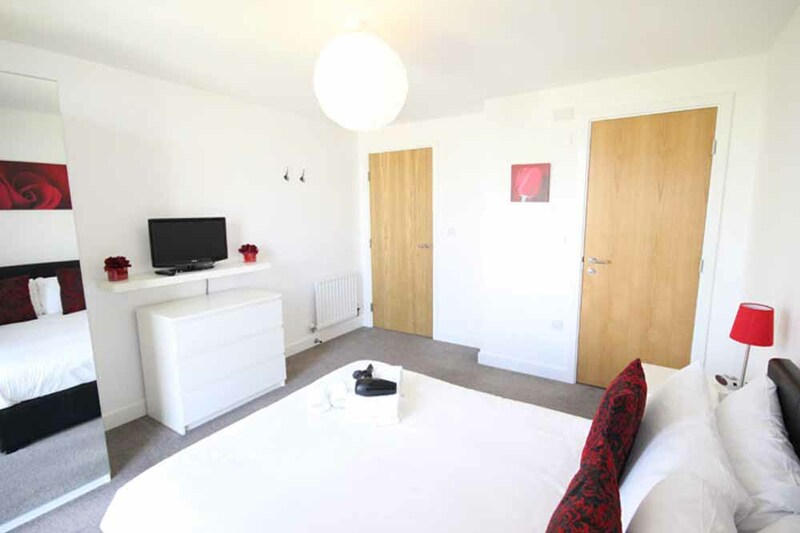 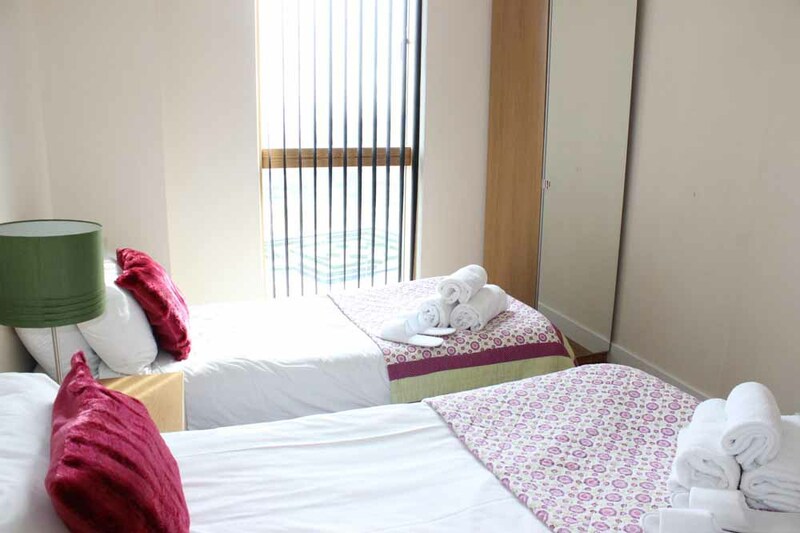 24 hour concierge, Alarm clock, Balcony, Bathtub, Shower, CCTV, Central heating, Double glazing, Electric fans, Guest handbook, Hair dryer, Heated towel rails, Ironing facilities, Maintenance/emergency service, Private/communal gardens, Secure entry system, Security staff on-site, Free toiletries (on arrival), Welcome pack. 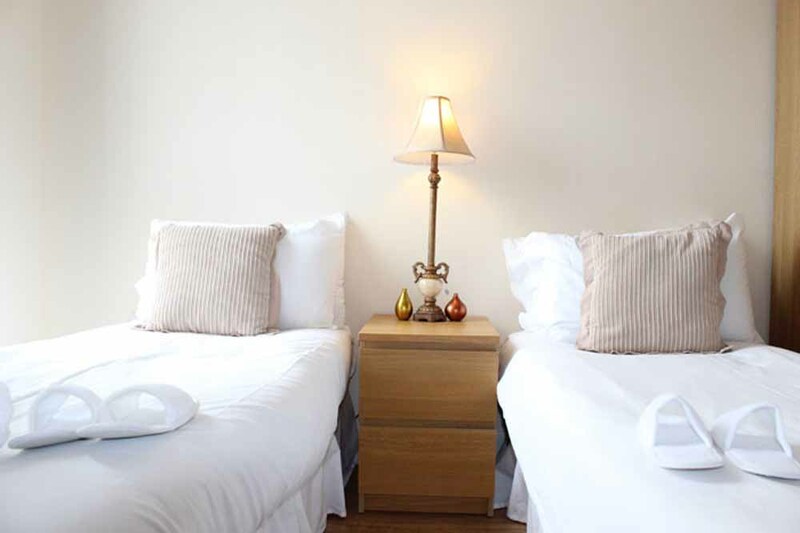 Sleeps four but can accommodate up to five people with one extra foldaway bed (available on request for an extra charge) sleeping a fifth person. 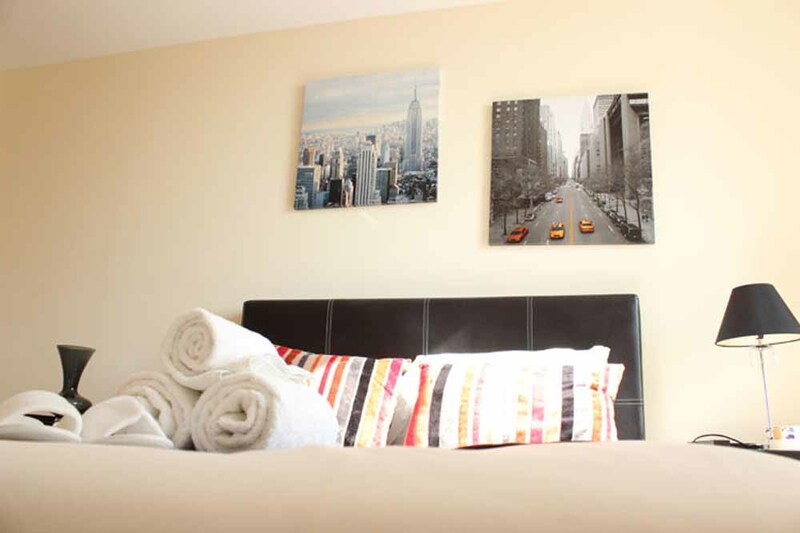 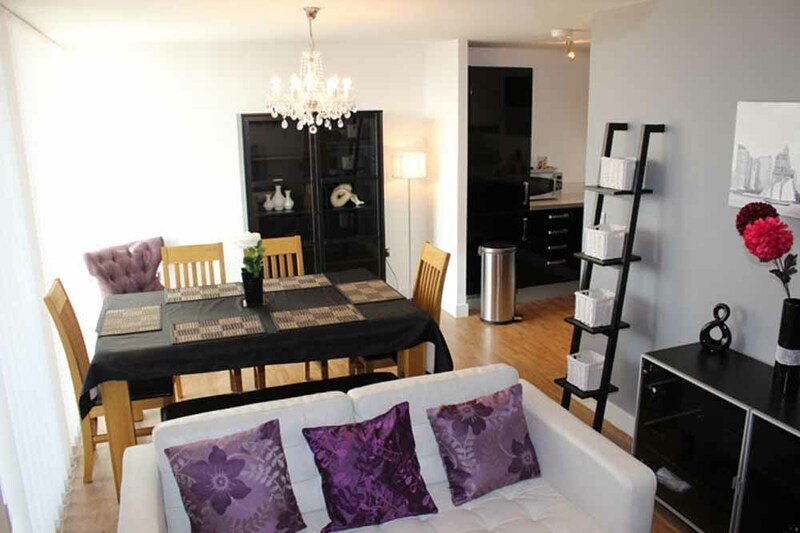 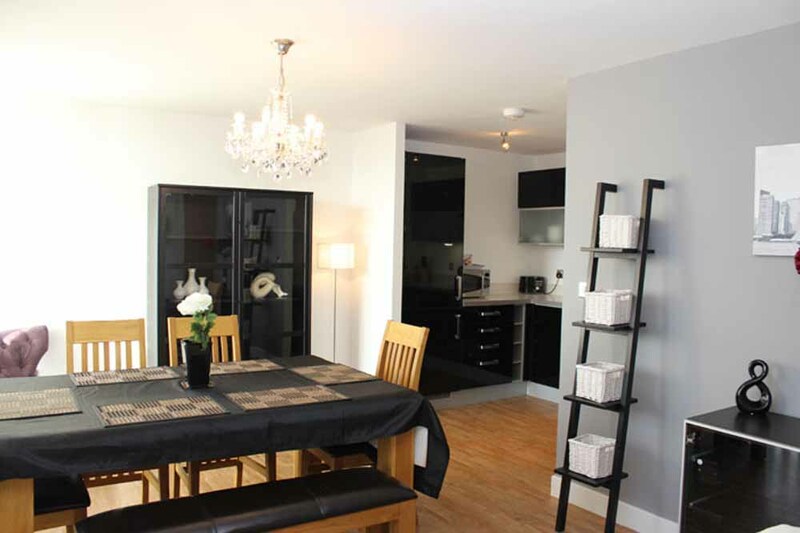 This apartment has two separate bedrooms, double beds or twin beds, two bathrooms, a fully equipped kitchen and a spacious living and dining room. 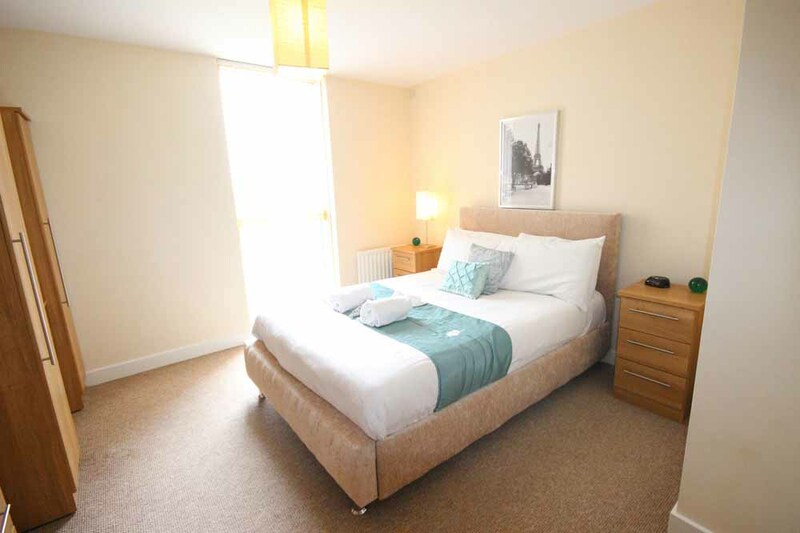 Sleeps four but can accommodate up to five people with one extra foldaway bed (available on request for an extra charge) sleeping a fifth person. 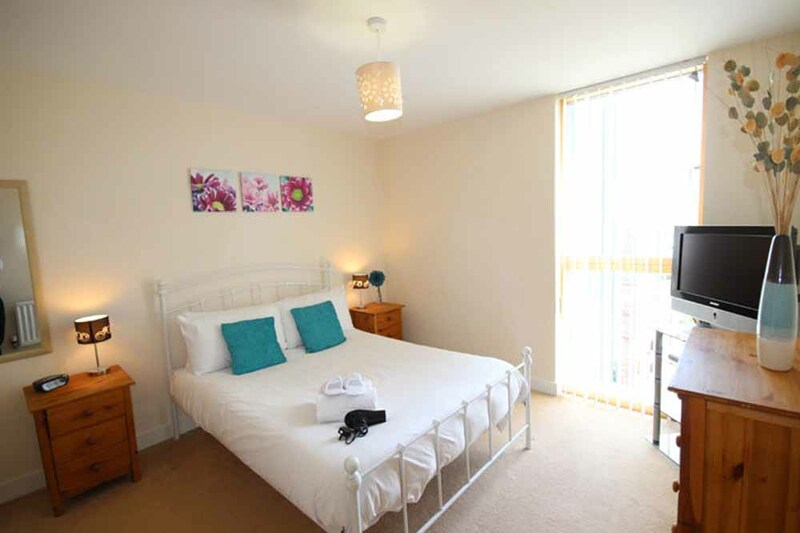 This apartment has two separate bedrooms, double beds or twin beds, two bathrooms, a fully equipped kitchen and a spacious living and dining room. 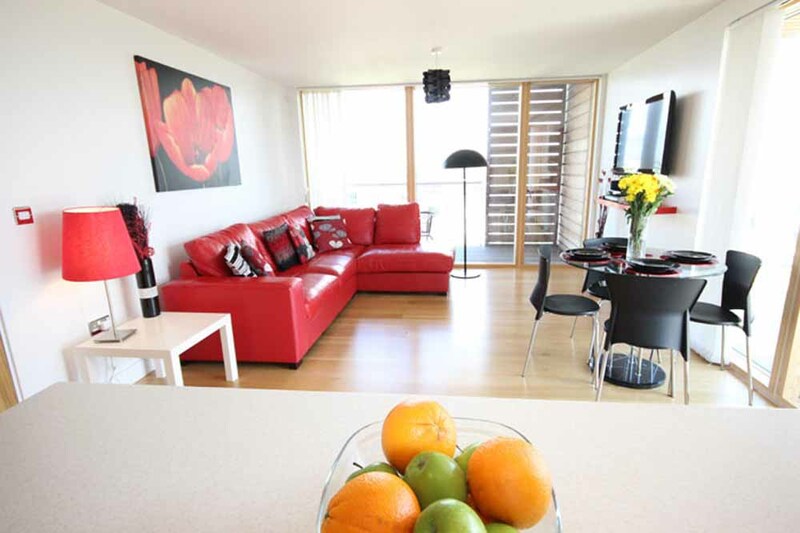 These deluxe apartments also have one of these special features: private garden, rooftop terrace or duplex balcony. 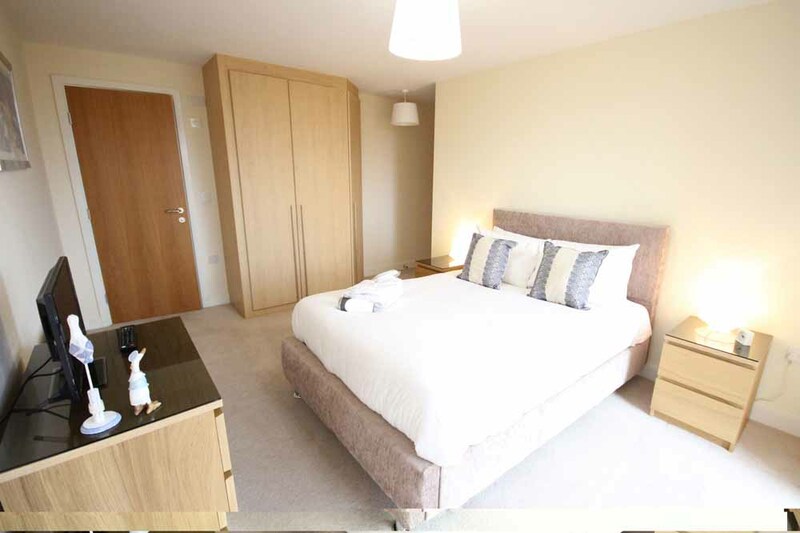 Sleeps six but can accommodate up to seven people with one extra foldaway bed (available on request for an extra charge) sleeping a seventh person. 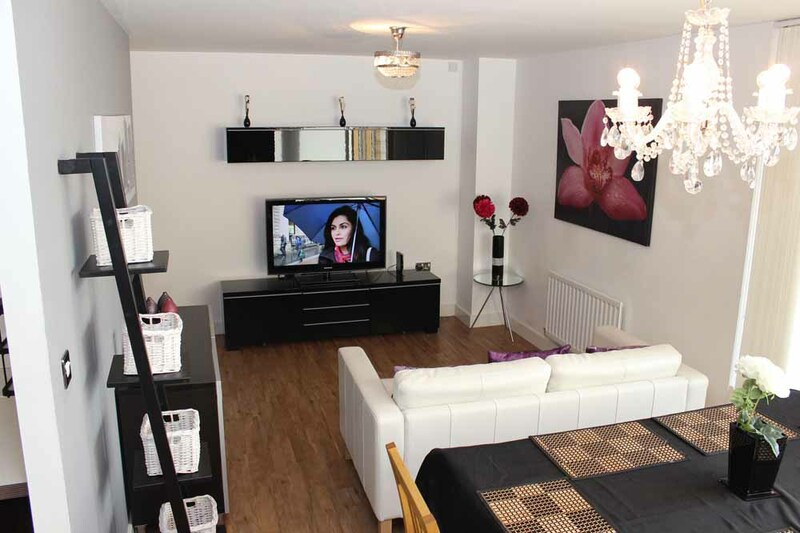 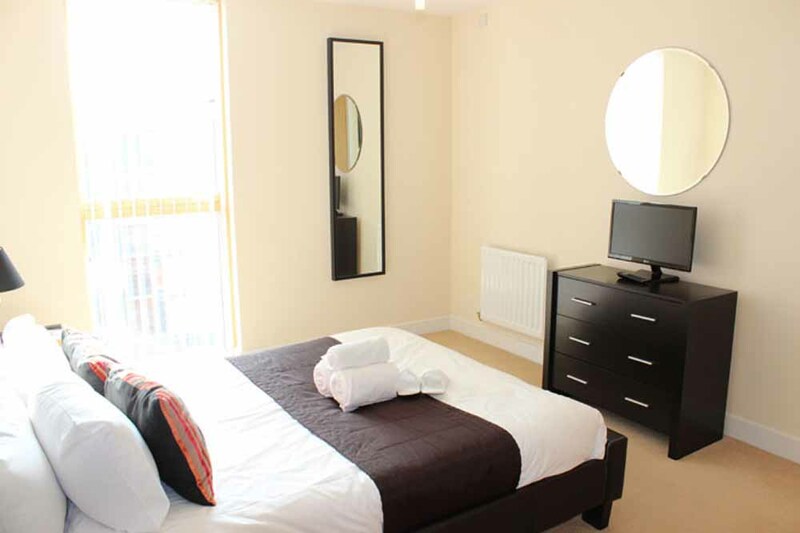 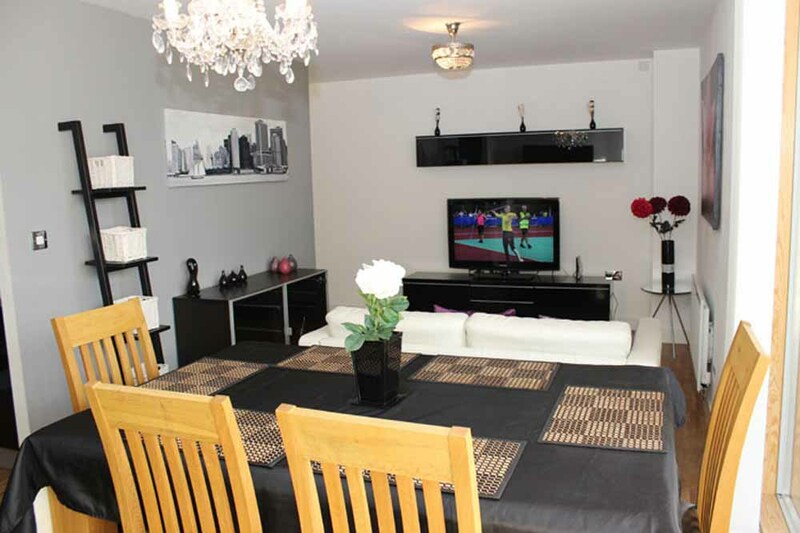 This apartment has three separate bedrooms, double beds or twin beds, two bathrooms, a fully equipped kitchen and a spacious living and dining room.